Michael Allpress, founder of Allpress Espresso, has always kept flavour top of mind. His curiosity with roasting technologies and its impact on flavor has led Allpress to develop, design and build our own hot air roasting approach – Air Roasting Technologies. This method suspends beans in a steady stream of hot air, with precise control of temperature and time. It allows the coffee to evenly reach full flavor development, enhancing the natural character of the beans. The result is a distinctively cleaner, smoother taste and long lasting finish. 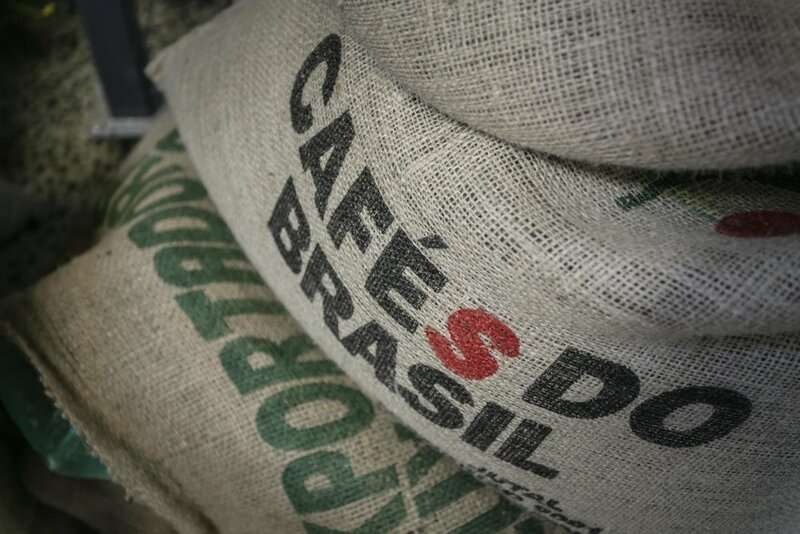 The blend that Nova uses is Espresso Blend with beans coming from Brazil, Colombia, Guatemala and Sumatra. The honey bees work hard for Steve from Hyde Honey Company harvesting in the beautiful Central Otago. You can enjoy Hyde Honey Company on our toasts, we use the raw honey in our cooking and baking, as part of the sauce on our Salt and pepper squid tentacles and in our saffron and ginger reduction in our Okonomiyaki Japanese pancake. You can now purchase your own reusable glass jar of creamy clover honey to take home available in 250ml and 500ml. Sea Breeze Veges is a small hydroponic farm based in Dunedin that grows lettuce, herbs and other vegetables for restaurants and cafes around Dunedin. They are GAP certified (good agricultural practice) and they do not use any synthetic pesticides on their produce. Sea Breeze Veges are dedicated to providing the freshest greens in town by harvesting and delivering every morning 7 days a week. We use micro greens on many of our dishes such as our Pea and ricotta fritters with lemon aioli and watercres, Pinot braised hare ragu with pappardelle, watercres pesto and jus just to name a few. At Deep Creek Deli you can find everything from premium quality beef, free range pork and lamb, European smallgoods and deli products. Having been in business for many years Enrico and his team offer fantastic service and have plenty of knowledge and cooking suggestions for you to use with their products. You can enjoy Deep Creek Deli’s pork Cumberland sausage in our Full Cooked breakfast and enjoy a side of smoked bacon made from New Zealand pigs! Make sure you also try our House Made Beans with Ham Hock and our Pickled Beetroot Salad with black forest ham (smoked parma) also from Deep Creek Deli. Nestled within a timeless and sensual landscape, Archangel Vineyard sits on two ancient glacial terraces in the Upper Clutha Valley of Central Otago, one of the southern most winegrowing regions in the world. Geological events 30,000 years ago have defined the Archangel landscape creating soils that are a pastiche of loess, gravel, schist and mineral quartz. Enjoy a glass of 2017 Archangel Estate Chardonnay or a 2014 Archangel Estate Pinot Noir at Nova. Come in to Nova and enjoy The Source – Pure Cardrona Gin or if you prefer The Reid – Single Malt Vodka.